high cost performance, the quality parameters are high.WBA(Water base acrylic) BOPP PACKING TAPE is made from BOPP (biaxial oriented polypropylene) film coated with acrylic adhesive. It is widely used for automatic carton packing machhines throughout various industries.BOPP Packing Tape is characterized: light weight, high resistance, non-strechable and economic. 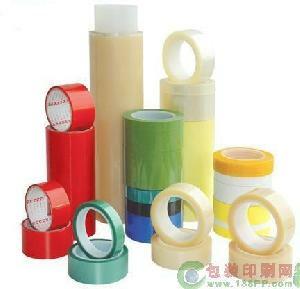 Color: clear, brown,tan, yellow, blue, red, white, green, black(Printed Tape: 1-3 color) etc. If any product be interest to you,do not hesitate to contact us by calling or mail,we will make you a favorable offer and ensure good quanlity and JIT delivery. Company Name: Futon (Shenzhen) Adhesive Products Co., Ltd.